Sorry to disrupt the flow of food discourse, but I've just been memed by the lovely David Sutoyo. For the less tech-lingo-fied out there, being memed essentially means I am supposed to link to the person who tagged, or memed, me, respond to the topic that was passed to me, and then tag others, thereby keeping the topic alive and hurling it further into the blog abyss. I am outnumbered by redheads in my extended family. I love Metallica. "My Friend of Misery" is one of the greatest songs ever written. A couple of years ago, I won first place in a national grammar competition, or as my Simpsons-obsessed boss likes to call it, the Grammar Rodeo. Various grammar faux pas will irk me for the rest of my life. And as I am only human, I will commit many of these and not own up to them. I am like the princess and the pea, well, thankfully less so now than when I was little. I used to be able to sense when the sheets were hanging off the bed more on one side than on the other, and would have to make the two sides equal before I could fall asleep. Similarly, my head had to be centered on the pillow. I swear I'm not OCD. Ok, maybe a little. 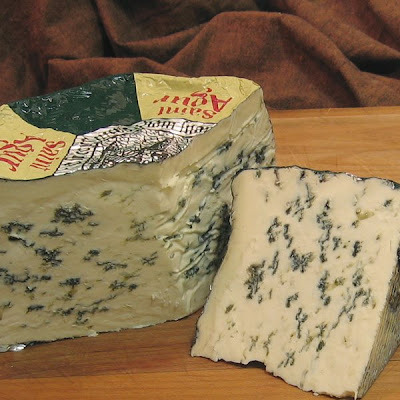 I don't eat blue cheese for two reasons, mostly the second: Not fond of the taste, and who intentionally eats mold...that looks like mold? I have never seen the movie Titanic. I think I might be the only person on Planet Earth who hasn't. There is almost nothing I hate more than to hang pants on pant-hangers. Can't I just throw slacks in a drawer? Pleeeeeeease? I'd rather scrub a toilet, eat bugs, or......wait for it......bathe in blue cheese. And now, to keep this Meme alive, I tag Ericka, Andy, Kenzie, and Hilary. grammar rodeo, teehee! you're so cute.